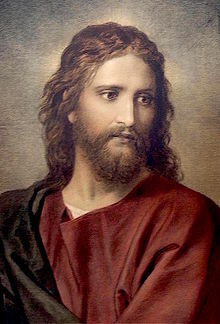 Our latest ‘Underground Knowledge’ discussion group poll on the popular literary site Goodreads.com asks: Do you believe Jesus Christ was a real historical person? Interim results show that 60% of poll respondents say Yes; 23% say No; and 17% are Unsure. Christ as depicted by artist Heinrich Hofmann. The poll was inspired by a lively new discussion thread titled Forbidden history of the Bible in our group. No offense but the question to me is nonsensical, so I didn’t weigh in. No genuine scholar denies that Jesus existed. That leaves pretty much only propagandists and pseudo-scholars, who know nothing about history, that deny that He did. There is way more proof for His existence than there is for many other people that we accept as historical. People can argue about what His significance is, but that He was a historical figure is unquestionably so. I am obligated to be honest with respect to my Christian brethren and friends here. My “YES” Jesus existed is qualified by the separation of what is ascribed to him in the Gospel. It is problematic to align with Paul’s advocating that a Jew of the first century would claim divinity when the Jews challenged Rome over the same issue to the very end of a disastrous conclusion, and without surrendering their belief: they rather faced a holocaust than surrender their belief before Rome. The followers of Jesus rejected Paul, not Jesus. I believe there is a true person behind the legends and stories. Just not that every action, event, or saying ascribed to him in the canonical or other writings is 100% accurate. Way too much historical evidence for him. See Josephus. It is very possible the Church threw in the forgery. I don’t disagree with that. I do disagree that Jesus is a figment of some one’s story telling ability. Are you aware of all the Pagan Gods who came before Christ – like Mithra, Horus and Osiris – whose lives are remarkably similar to the story of Jesus? I find the history (or lack of, depending on your take) surrounding Jesus gets really convoluted the deeper you research. Agreed. Lot’s of stuff borrowed. There was even a second messiah around 100 AD. Yet another interesting confab is unfolding in our ‘Underground Knowledge’ discussion group on Goodreads.com – this one relating to the authenticity of the Bible and the accuracy of the information contained within its hallowed pages. 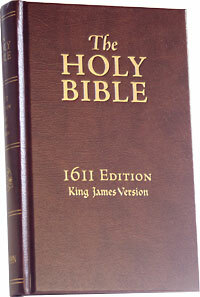 …The oldest bible ever found is the Sinai Bible which from memory was written on donkey skins in the 3RD Century AD. It differs radically from the modern (edited) Bible, which is further testimony to the changes Man has made to the “word of God” over the centuries. Apparently the Sinai Bible does not contain any mention of the Resurrection of Christ, which may indicate that was added later (probably in the Council of Nicea). “…With the Sinai Bible, Christian history is traced back as far as it can conceivably go, but it was still written, at best, more than 350 years after the time the Vatican says Jesus Christ walked the sands of Palestine. Our latest ‘Underground Knowledge’ group poll on the popular literary site Goodreads.com has taken an interesting turn with one of our Muslim members adding to the discussion. The poll simply asks: Do you believe in God? Results remain largely unchanged since our last poll update with 71% of poll respondents saying Yes (I believe in God); 16% saying No (I am an atheist); and 13% saying Undecided (I am an agnostic). I am a believer, I believr in God, Allah, and I would like to point out that Muhammad Peace be upon him, is the a prophet and messenger of God, he’s a person just like all human beings, and in Islam, he’s Not considered a God, God is the Great Creator of the universe, the ultimate power and mighty of all, so please if you’re not a believer don’t be offensive to other religions, Islam Christianity Judasim Pagan or all, please dig things up before you say anything, just like I respect all of your opinions. Aabid, finally! It’s nice to have a Muslim member commenting as there have been a lot of ill-informed comments about Islam in various posts (just as there are a lot of ill-informed comments in the media about your religion) so it’s great that you have joined the group. I look forward to reading more of your comments. There are also elements of Islam I disagree with. But I just feel Muslims are being misrepresented in Western media. And moderate Muslims (the vast majority) are paying the price for extreme zealots (small minority). …Loving the spirit in this poll by the way.